The American physician, virologist (scientist who studies viruses), and immunologist (medical scientist concerned with the structure and function of the immune system, the body's resistance to infection) Jonas Salk developed the first effective poliomyelitis (polio) vaccine. Jonas Edward Salk was born in New York City on October 28, 1914, the oldest of three sons of Daniel and Dora Salk. The family moved to the Bronx, New York, shortly after Jonas's birth. As a child he was thin and small and did not do well at sports, although he was an excellent student. With his mother's encouragement, he had a sense as a child that when he grew up he would "make a difference" by doing something significant. Salk graduated from Townsend Harris High School, a school for exceptional students. He studied hard, read everything he could lay his hands on, and always got good grades. At the age of sixteen Salk entered the College of the City of New York to study law. He subsequently changed his mind and decided instead to pursue medicine. In 1934 he enrolled in the College of Medicine of New York University, from which he graduated in 1939. Salk worked at New York's Mount Sinai Hospital from 1940 to 1942, when he went to the University of Michigan. There he helped develop an influenza (flu) vaccine. In 1944 he was appointed research associate in epidemiology (the study of the causes, distribution, and control of disease), and in 1946 he was made assistant professor. In 1947 Salk accepted a position at the University of Pittsburgh as associate professor of bacteriology (the study of bacteria, one-celled organisms that can cause disease). There he carried out his research on a polio vaccine. Polio vaccines had been attempted before but without success. Until 1949 it was not known that there were three distinct types of polio viruses. This discovery provided a starting point for Salk. Working under a grant from the National Foundation for Infantile Paralysis, he prepared a killed-virus vaccine effective against all three types. Testing began in 1950, and the preliminary report on the vaccine's effectiveness was published in the Journal of the American Medical Association in 1953. National field trials were held in 1954, and in 1955 the vaccine was determined safe for general use. The Salk vaccine is made by cultivating (growing) three strains of the virus separately, then killing it by applying a strong chemical called formaldehyde. Tests are then performed to make certain the virus is dead. A series of three or four injections is required to make someone immune. Acceptance of the vaccine was not without problems. Salk was criticized because a glaring Hollywood-like promotion was undertaken for the vaccine. Also, some medical colleagues favored a live-virus vaccine. The live-virus vaccine developed by Dr. Albert Sabin (1906–1993) contained a mutant (altered, different) form of the polio virus, called an avirulent virus. This means it was not able to harm the body's defenses. The live-virus vaccine had advantages over the killed-virus vaccine. It could be administered orally (through the mouth) rather than by injection, and one dosage gave permanent immunity. The biggest problem with the Salk vaccine was that improper production of the vaccine by some drug companies resulted in the vaccine being contaminated with live polio virus. Many hundreds of children died or became extremely ill because of this. Salk, during his polio researches, was made research professor of bacteriology at Pittsburgh, Pennsylvania, (1949–1954) and professor of preventive medicine (1954–1957). In 1957 he was named Commonwealth professor of experimental medicine. In 1963 he opened the Salk Institute for Biological Studies in San Diego, California. There he and his colleagues studied problems relating to the body's autoimmunization reaction; that is, why the body rejects foreign material, for example, an organ transplant. Jonas Salk died on June 23, 1995, in La Jolla, California, at the age of eighty from heart failure. In his lifetime he was able to see the effects of his life's work. By the time Salk died, polio had virtually disappeared from the United States. Barter, James. 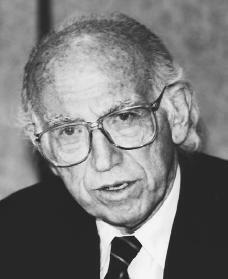 Jonas Salk. San Diego: Lucent, Gale, 2002. Carter, Richard. Breakthrough: The Saga of Jonas Salk. New York: Trident Press, 1966. Curson, Marjorie. Jonas Salk. Englewood Cliffs, NJ: Silver Burdett, 1990. McPherson, Stephanie Sammartino. Jonas Salk: Conquering Polio. Minneapolis: Lerner, 2002. Naden, Corinne J., and Rose Blue. Jonas Salk: Polio Pioneer. Brookfield, CT: Millbrook Press, 2001. Tocci, Salvatore. Jonas Salk: Creator of the Polio Vaccine. Berkeley Heights, NJ : Enslow, 2002. In 1966, The New York Times referred to him as the "Father of Biophilosophy." According to Times journalist and author Howard Taubman, "he never forgets... there is a vast amount of darkness for the man to penetrate. As a biologist, he believes that his science is on the frontier of tremendous new discoveries; and as a philosopher, he is convinced that humanists and artists have joined the scientists to achieve an understanding of man in all his physical, mental and spiritual complexity. Such interchanges might lead, he would hope, to a new and important school of thinkers he would designate as biophilosophers." Can you add more details about other parts of his life?